Russia really wants to go to the moon. 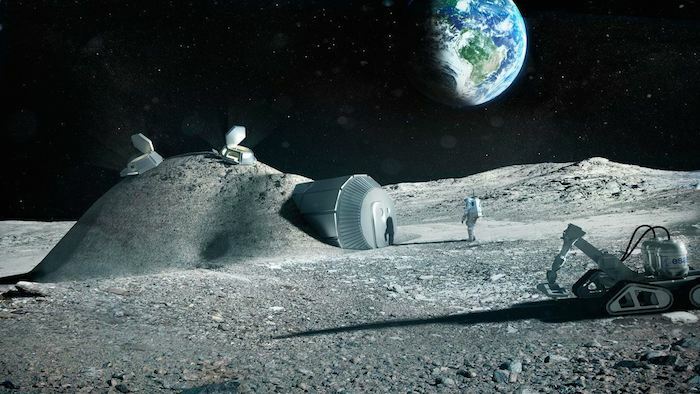 Roscosmos, the country’s space agency, has made it clear that its priority is exploring the moon—not Mars—with the ultimate goal of establishing a permanent base there. Now, Russia is asking international partners for help, and Europe is ready to answer the call. Roscosmos is currently planning Luna 27, an unmanned mission to the moon’s south pole that will scour for resources and assess if it’s feasible to build a colony there. According to BBC News and Russia’s state-owned media outlet Russia Today, the European Space Agency (ESA) will provide two key components to the Luna 27 lander: an advanced laser-guiding landing system, called Pilot, and an onboard laboratory to analyze the samples collected by the lander. “There are currently discussions at [the] international level going on for broad cooperation on how to go back to the Moon,” Bérengère Houdou, the head of ESA’s lunar exploration group, told BBC News. ESA did not respond to an email asking for more information about its involvement in the project. The agency is expected to officially approve its participation in the mission by next year, and the probe could launch as early as 2020. The planned landing site is the South Pole-Aitken Basin—an enormous impact crater on the far side of the moon—where scientists believe there is water ice. Despite the frigid temperatures and darkness inside the basin itself, there are nearby mountains which bask under constant sunlight, making it the perfect spot to perpetually power solar panels. Russia last landed a spacecraft on the moon in 2013—the last time anything’s landed there since 1976. (The United States remains the only country to put humans on the lunar surface.) Meanwhile, China is set to launch its Chang’e-4 probe, which would also explore the far side of the moon, in 2020. China hopes to find water and harvest helium-3, a valuable resource that can fuel fusion power, and is found in abundance on the moon. Because of an archaic law, NASA couldn’t help China with these lunar endeavors even if it wanted to. But there’s nothing stopping the US space agency from collaborating with ESA or Roscosmos, two agencies it’s worked with before. It’s unclear if NASA was invited to this moon party—but even if it were, it might have to decline the invitation. NASA’s biggest priority, right now, is figuring out how to put a man on Mars.